Robert Vadra reached the ED office at Jamnagar House in central Delhi shortly before 11 am. He has been interrogated in connection with the case four times in the past, the last being 20 February. Speaking to media, Robert Vadra's counsel Suman Jyoti Khaitan said the businessman has given an undertaking to appear before the ED whenever summoned. 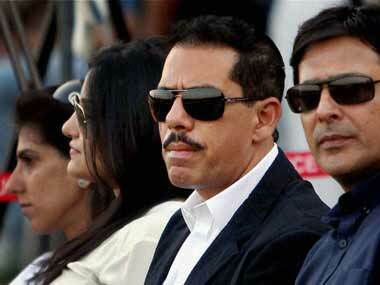 Congress leader Sonia Gandhi's son-in-law Robert Vadra on Wednesday appeared before the Enforcement Directorate (ED).